Group show at Studio LightNG (988 Queen St W), Sep 16 - Oct 7. Exhibition opens for Queen West Art Crawl and runs through Nuit Blanche. update: Exhibition extended until October 30th! 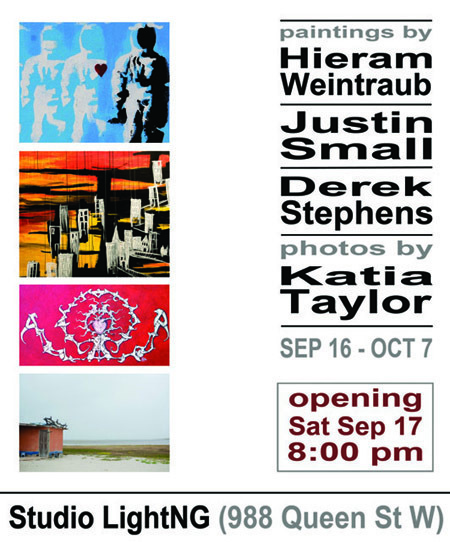 Featuring the work of Derek Stephens, Justin Small, Katia Taylor and Hieram Weintraub.